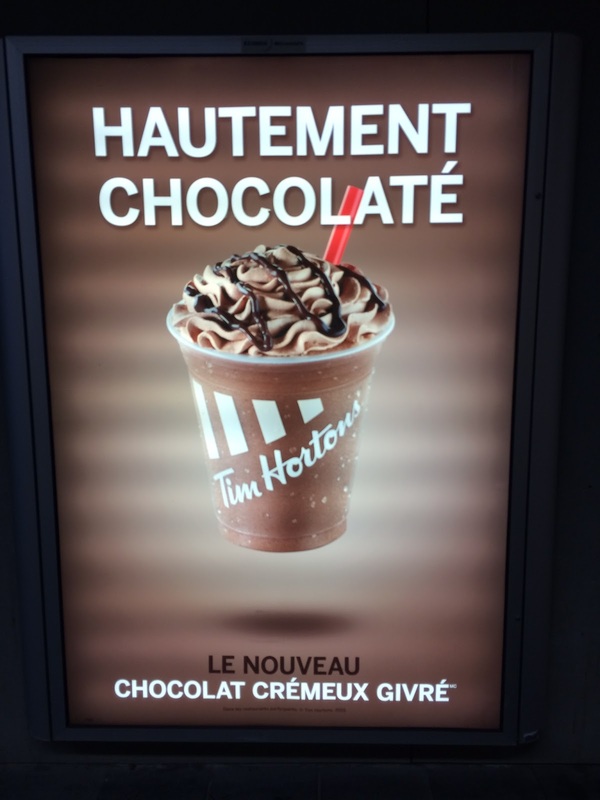 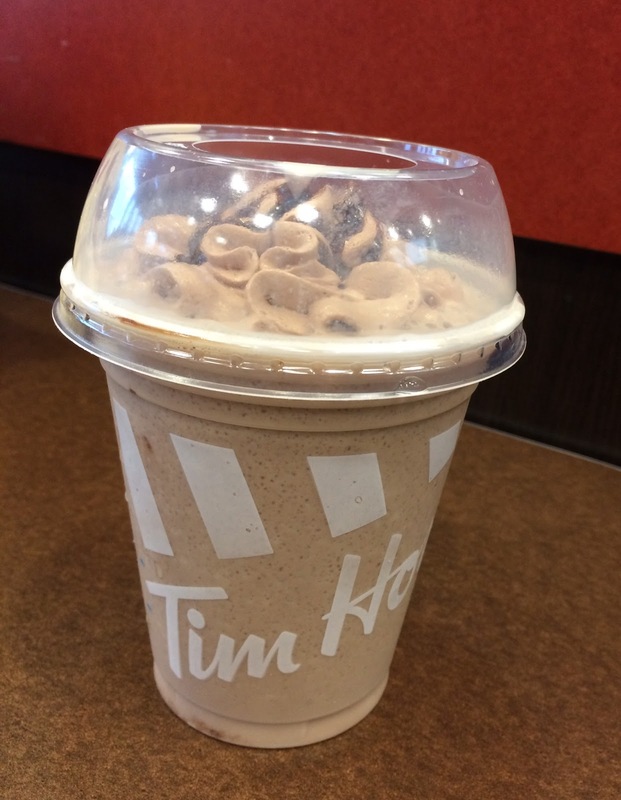 Tim Hortons had a new drink called Chocolat Crémeux Givré / Creamy Chocolate Chill. 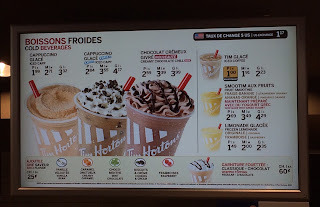 It didn't seem to contain any coffee, and I bought the smallest size. It's much paler than the photos but they used chocolate flavored whipped cream and put chocolate drizzles. The beverage was made with finely crushed ices and the texture was similar to Frappuccino but smoother like Slurpee. 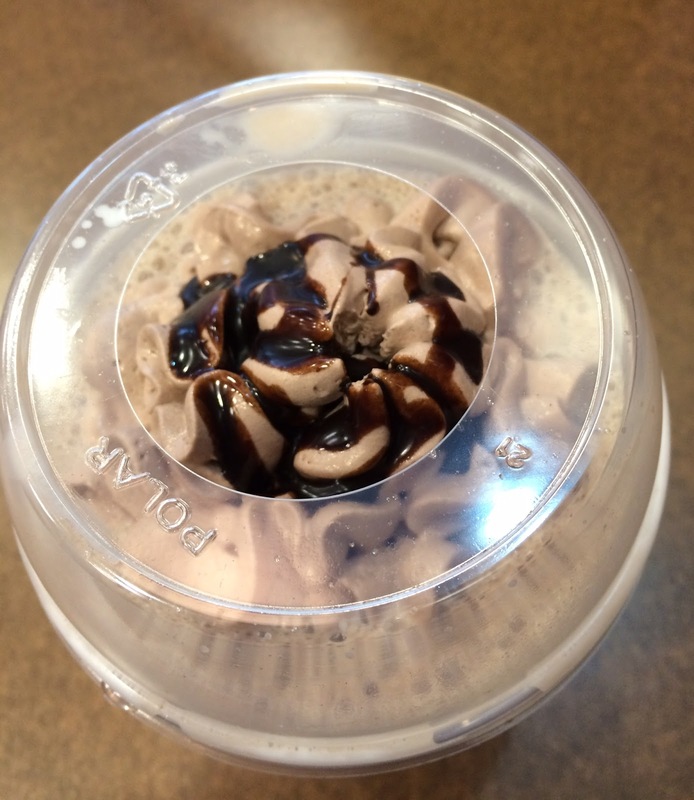 Same as those frozen drinks, it caused headaches. 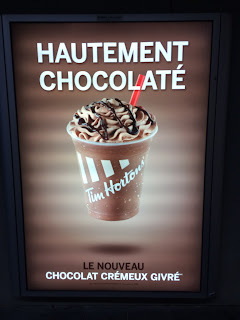 The chocolate flavor was a bit weak while I had expected it'd be more chocolatey as it'a chocolate drink with 2 other chocolate ingredients (whipped cream and drizzle). 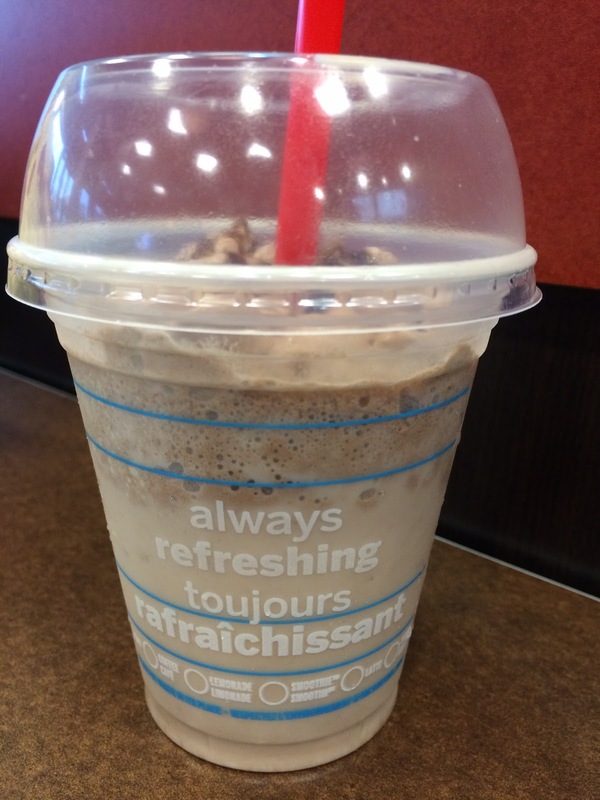 However it's named "creamy," I didn't feel any creaminess but granulated ice. 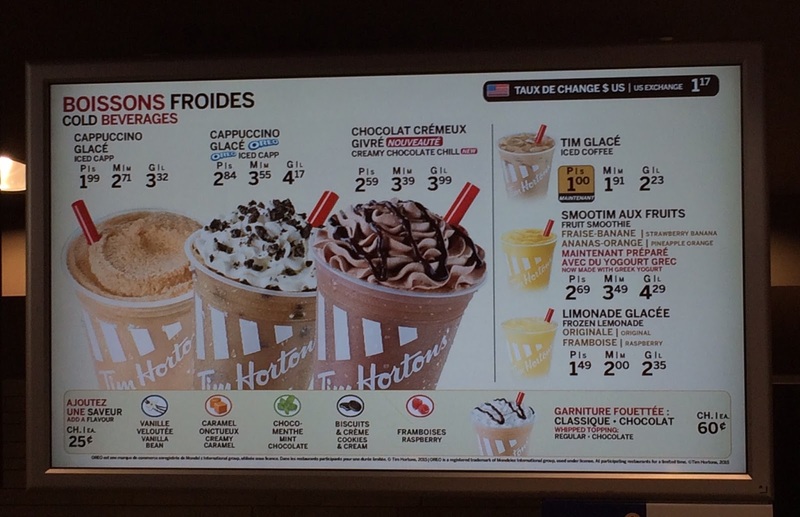 But if they intentionally made it not too rich for hot summer, the refreshing flavor was understandable.